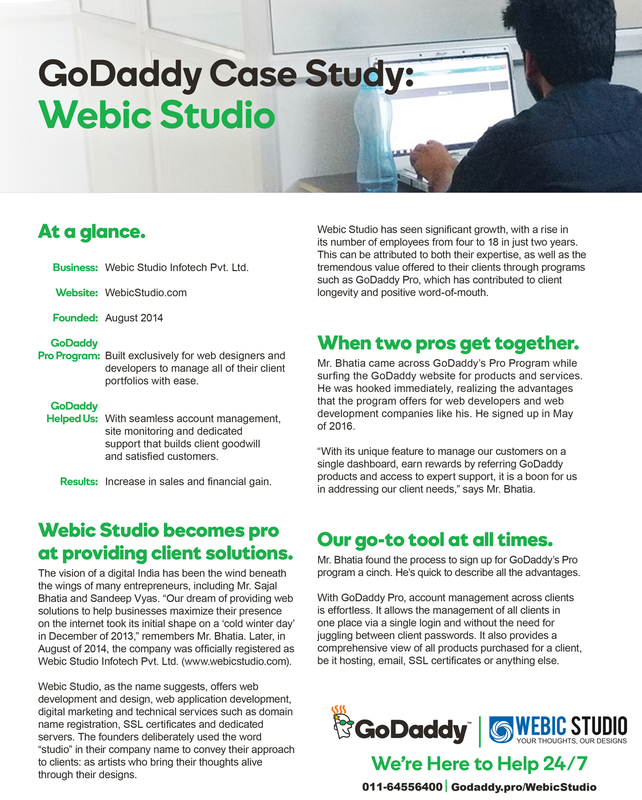 Disclaimer: Webic Studio is a Technical Service Provider and Godaddy™ Pro Member for Godaddy™ products. 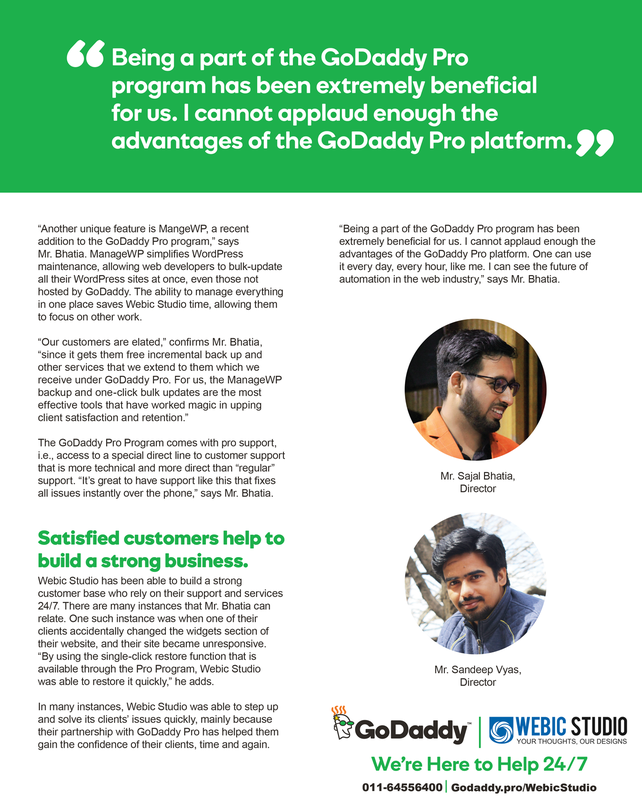 You may contact Godaddy™ directly and choose to purchase your product directly from Godaddy™. Services such as Account Management, referring products and other related services of Godaddy Pro offered by Webic Studio are powered by Godaddy™, Godaddy™ Pro among others, are the registered logos, trademarks and brand names owned by GoDaddy Inc. and are used here solely for the purpose of representation. Other party’s logos and marks are the property of their respective owners and used for reference purpose only.